A friend of mine wanted some tips on easy, healthy lunches that she could pack to eat on-the-go. I've gathered some ideas below. All of these recipes require some planning ahead unless you happen to have the ingredients on hand. And other great recipe ideas here. 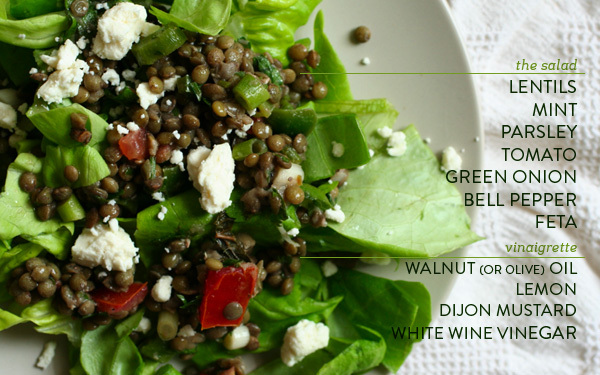 This is a lentil salad is a great to pack for lunch as it travels well. 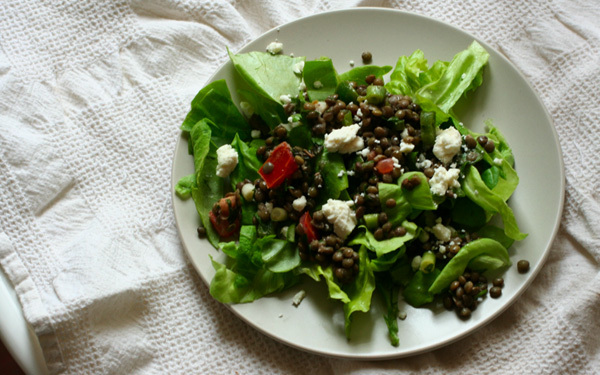 Put lentils in one container, lettuce and feta in another. Enjoy with a slice of ciabatta or cup of soup and an orange. If you sit in front of a computer all day at work, find a park bench and enjoy your lunch outside. Cook lentils according to package (Can do this step the day before). Chop up mint and parsley and mix into the lentils. Add the diced tomato, green onion and bell pepper. Mix well. Mix lemon juice, dijon mustard and white wine vinegar in small dish. Add the oil tbsp by tbsp, stirring well. Sprinkle with sea salt and pepper. Pour vinaigrette over lentils and mix well. Sprinkle with feta, if you'd like (Goat cheese would also taste great mixed in). Enjoy over top of mixed greens! That sounds phenomenal. I'm really getting into lentils lately, and I'm of the opinion that mint can make almost anything taste super fresh. Thanks for the great idea! Thanks for the comment, Jen! It's a really tasty salad. Very fresh. Hope you enjoy! yum! I have been craving lentil chilly lately. Lentils are so underrated, but they are just so delicious! Your blog is lovely; I'm saving it in my faves:). You're making me wish I could find chickpea flour in Scotland . . . alas:). This looks great great! Definitely going to try it! 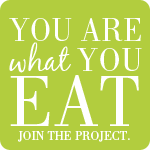 I find that the wrap's are quite helpful when it comes to healthy eating on the go.